Lock Replacement Scottsdale | Local 24 Hours | Metro Lock & Safe Inc. 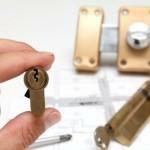 When you need a lock replacement in Scottsdale the experts at Metro Lock & Safe Inc. are standing by. There are many reasons for a replacing a lock, sometimes it’s due to to security concerns when someone who should no longer have access to a property still possesses it. Lock damage can occur from break in attempts, and these often require lock replacements and deadbolt replacement. Locks can also become difficult to use with age. A Scottsdale lock replacement can be just the thing to get your door working the way you’d like. 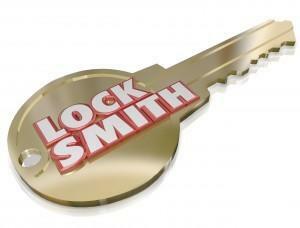 When you need professional help from a timely, courteous, and skilled locksmith, you want Metro Lock & Safe Inc.. Mechanical Lock Replacement: No matter where on your property a replacement is required, we have the equipment, skills, and brands you want. Often times window locks can be compromised during break-ins. A window lock replacement can repair this damage. Older properties also frequently use older locks that no longer provide the same level of security that you expect. That’s why our services cover sliding glass door replacement, deck lock replacement and everything in between. No matter where your lock is, we have you covered. Electronic Lock Replacement: In the event you need electronic lock replacement in Scottsdale, don’t hesitate to call. Our outstanding workmanship and great prices aren’t just reserved for the mechanical. Our security experts can find and install replacements for any electronic lock system you have in place. If you decide it’s time for an upgrade as well, we perform full security evaluations and can perform any keyless lock replacement you may require. Auto Lock Replacement: Our skilled locksmiths can provide you with a complete car lock replacement as well. This covers both car door locks and car ignition replacement. We also frequently perform work on RV’s providing complete RV lock replacement. All of our services are performed by expert level locksmiths with highly rated replacement parts ensuring you get the best repair possible. For a professional lock replacement in Scottsdale, call (480) 725-6544 or contact Metro Lock & Safe Inc..
Scottsdale is an incredible city with a wealth of interesting activities for those interested in history and the arts. The Scottsdale Museum of Contemporary Art offers visitors a look at some incredible exhibits like murals by James Marshall and afghan war rugs. Another Scottsdale favorite is Scottsdale’s Museum of the West. With everything from antique photography to paintings and old sheriff’s badges there something for anyone with the smallest interest in the west. Scottsdale visitors interested in broad history should make sure to check out the Scottsdale Historical Museum to find out about the wonderful and varied local history.